You will almost always find a Black and Decker model as a best seller for most gardening tools. That is simply because they make their products of good quality and at affordable prices. This ST5530 model is no exception to that rule. It is by a good distance one of the best selling strimmers in the UK market. The affordable price of around £60, coupled with a 90% buyer satisfaction rating, quite rightly has this one right at the pick of the bunch. I have used this one myself when working on my parent's garden. It works really well and helps get the grass cutting done quickly. This one is very good at general grass cutting in those hard to reach areas. It also has a nice little wheel edger, and the fact that it works really well, is a big advantage. This one is an electrical corded grass trimmer. You plug it into the mains and it is good to go. That power then drives a large 550 watt motor to deliver cutting speed to the head of the trimmer. This motor is then connected to a high gear torque system, which can deliver a cutting speed of 7,500 rpm. This one has a very wide 38 cm cutting swathe. That is around 15 inches. That is larger than most trimmers and simply means that you can get the job done faster. I always like it when a trimmer easily converts to an edger for doing the lawns. This one does that by simply rotating the head. It has what the manufacturer calls auto-select technology. All that really means is when the head is turned, the motor head adjusts to suit and edging speed rather than a trimming speed. A small but very helpful feature. This is compatible with the Black & Decker CM100 mower deck. 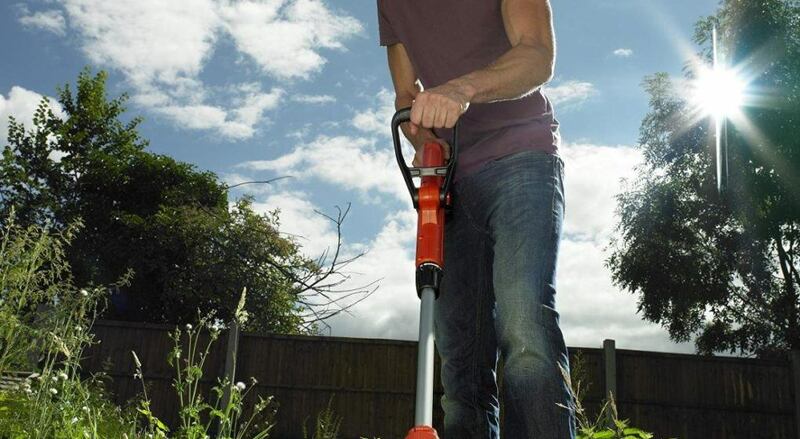 If you decide to go down that road, then this trimmer can also be used as your mower. It is a strong indication of just how powerful this motor and cutter really are. This B& D model also works really well for trimming grass around pots, along the sides of fences, boards, kerbs and sides of garages and sheds. Buyers really liked the way the strimmer automatically fed the line down - that was way better than having to bump it on the ground, or have to manually pull line from the spool. Compared to many other models, this one only weighs 2.5 Kg, and helps avoid arm fatigue. It also has a second handle that can be adjusted. It is worth taking a little time with this, and trying different positions. If you get the balance just right, it gives you a lot of well balanced control. One of the best sellers in the UK market. This strimmer has been bought by thousands of home owners, and has maintained a consistently excellent rating. If you are fed up to the back teeth of lines snapping, manually having to fix that, then this one solves that problem forever. If these are not the right corded clippers for you, then click here to see our top rated list. 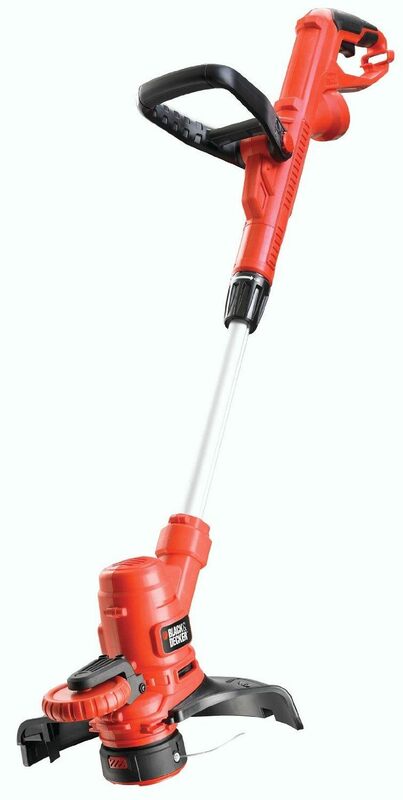 This one however does come out close to the top of all the grass trimmers on the UK market. It is lightweight so easy to move around a pleasure to use. The automatic line feed works great, and the edging wheel is very useful if you like your lawn edges neat.​ It also has a 2-year guarantee.